The New Jersey Office of Homeland Security and Preparedness will be sponsoring a two-day training course titled: “Critical Decision Making for Complex Coordinated Attacks (PER-335).” The course will be instructed by the National Center for Biomedical Research and Training (NCBRT) at Louisiana State University (LSU), a member of the National Domestic Preparedness Consortium (NDPC). Law Enforcement, Fire Service, Hazardous Materials Personnel, Public Health, Emergency Medical Services. Sixteen continuing elective units (CEUs) will be awarded to New Jersey Emergency Medical Technicians who complete the course. The New Jersey Office of Homeland Security and Preparedness (NJOHSP), New Jersey State Police (NJSP), New Jersey Department of Corrections (NJDOC), and the Federal Aviation Administration (FAA) will sponsor multiple sessions of a two-hour briefing titled: Law Enforcement Response to Unmanned Aircraft Systems (UAS) Incidents. The New Jersey Office of Homeland Security and Preparedness will sponsor multiple sessions of a two-day training course titled, “Critical Asset Risk Management” (MGT-315). The Texas Engineering Extension Service, a member of the National Domestic Preparedness Consortium, will deliver the course. This course is for participants interested in obtaining the TEEX Infrastructure Protection Certificate. The certificate is for professionals who wish to enrich their personal knowledge and skills related to critical infrastructure security and resilience. Participants can request to receive a certificate once all four courses (AWR-213, MGT-310, MGT-315, and MGT-414) are completed. The New Jersey Office of Homeland Security and Preparedness will sponsor multiple sessions of a one-day training course titled, “Advanced Critical Infrastructure Protection” (MGT-414). The Texas Engineering Extension Service, a member of the National Domestic Preparedness Consortium, will deliver the course. TThe New Jersey Office of Homeland Security and Preparedness, New Jersey State Police, and Union County Prosecutor’s Office will be sponsoring a two-day training program titled “Drug Identification.” The Northeast Counterdrug Training Center (NCTC), part of the National Guard Counterdrug Schools Program, will deliver the training. This course is for all levels of law enforcement including corrections and military. The New Jersey Office of Homeland Security and Preparedness will sponsor multiple sessions of a two-day training course titled, “Law Enforcement Prevention and Deterrence of Terrorist Acts” (AWR-122). The course will be instructed by the National Center for Biomedical Research and Training (NCBRT) at Louisiana State University (LSU), a member of the National Domestic Preparedness Consortium (NDPC). This course is designed for Law Enforcement only. 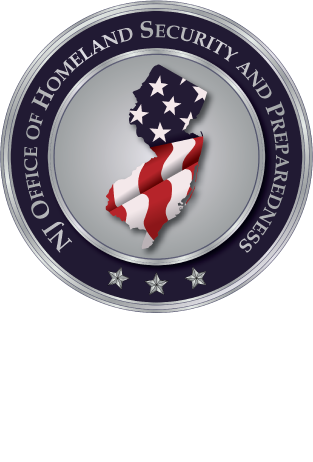 The New Jersey Office of Homeland Security and Preparedness is sponsoring a Department of Homeland Security (DHS) one-day training program titled: "Protective Measures Course". This course is designed for executive and frontline security personnel from the public and private sector who are involved in planning or establishing appropriate protective measures. The National Center for Biomedical Research and Training (NCBRT) at Louisiana State University (LSU), a member of the National Domestic Preparedness Consortium (NDPC), will be instructing the DHS approved training course entitled "Fundamentals of Criminal Intelligence" (AWR-315). This course is designed for law enforcement, security managers, Investigators, Analysts, Corrections, and Fusion center personnel. The New Jersey Office of Homeland Security and Preparedness and the New Jersey Department of Health will be sponsoring a two-day training titled: "Medical Countermeasures: Point Of Dispensing (POD), Planning And Response" (MGT-319). The training will be instructed by the Texas Engineering Extension Service (TEEX), a member of the National Domestic Preparedness Consortium (NDPC). This course is a guide for local health officials and their partners to coordinate plans to provide mass distribution of medical countermeasures in response to a large-scale public health incident. Sixteen continuing elective units (CEUs) will be awarded to New Jersey Emergency Medical Technicians. Continuing education credit is approved by the Emergency Nurses Association (ENA), an accredited approver of continuing nursing education by the American Nurses Credentialing Center’s Commission on Accreditation. The New Jersey Office of Homeland Security and Preparedness will sponsor multiple sessions of a one-day training course titled, “Critical Infrastructure Security and Resilience Awareness” (AWR-213). The Texas Engineering Extension Service, a member of the National Domestic Preparedness Consortium, will deliver the course. The National Center for Biomedical Research and Training (NCBRT) at Louisiana State University (LSU), a member of the National Domestic Preparedness Consortium (NDPC) will be delivering the DHS approved training course entitled, "Readiness: Training Identification and Preparedness Planning" (MGT-418). The New Jersey Office of Homeland Security and Preparedness will sponsor multiple sessions of a two-day training course titled, “Jurisdictional Threat, Hazard Identification, and Risk Assessment” (MGT-310). The Texas Engineering Extension Service, a member of the National Domestic Preparedness Consortium, will deliver the course. The New Jersey Office of Homeland Security and Preparedness is sponsoring a Department of Homeland Security (DHS) one-day training program titled: Bombing Prevention Awareness Course (AWR-348). Public and private sector individuals interested in or required to have a basic awareness of bombing prevention measures. Public safety personnel, emergency managers, law enforcement, and special event security personnel can also benefit from the course. The New Jersey Office of Homeland Security and Preparedness will sponsor multiple sessions of “Bomb Threat Management (BTM) Planning Course” (MGT-451) The course will be instructed by the Office for Bombing Prevention (OBP) within the Department of Homeland Security (DHS). The BTM Planning course is designed for public and private sector emergency management representatives, critical infrastructure owners and operators, and law enforcement officials. (PER-335).” The course will be instructed by the National Center for Biomedical Research and Training (NCBRT) at Louisiana State University (LSU), a member of the National Domestic Preparedness Consortium (NDPC). The New Jersey Office of Homeland Security and Preparedness and the Cape May County Prosecutor’s Office will be hosting a one-day training program titled: Tactical Emergency Casualty Care for First Responders (PER-356). The School of Medicine & Health Sciences at The George Washington University, a member of the National Domestic Preparedness Consortium (NDPC), will deliver the course. This course is for all members of the public safety community. Five continuing elective units (CEUs) will be awarded to New Jersey Emergency Medical Technicians who complete the course. The National Center for Biomedical Research and Training (NCBRT) at Louisiana State University (LSU), a member of the National Domestic Preparedness Consortium (NDPC) will be presenting a two-day, DHS approved "Executive Seminar: Prevention of, Response to, and Recovery from Campus Emergencies (MGT-324).